“You’re not healthy without good oral health,” was an oft-repeated phrase from U.S. Surgeon General C. Everett Koop in the early 1980s. This statement stands true today as dental caries (tooth decay) is the single most common chronic disease among children – five times more common than asthma and seven times more likely than hay fever, according to the U.S. Department of Health and Human Services. 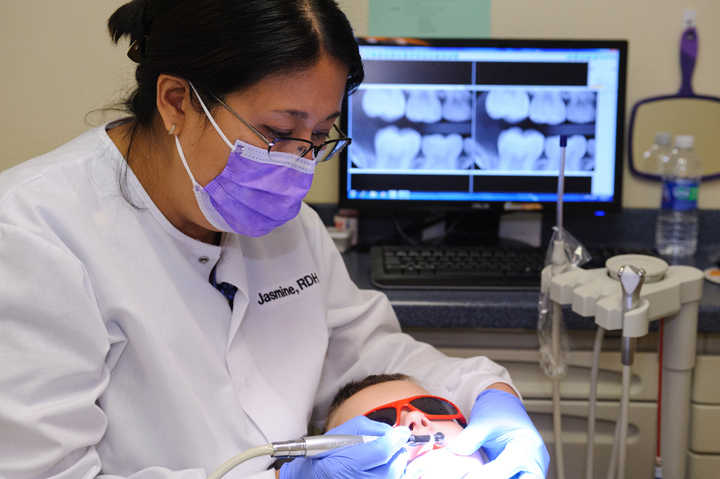 Children from low-income families are half as likely to visit a dentist for preventive services than those from middle or higher income families. Despite the high rate of caries, many families have difficulty finding dentist who participate in the state Medicaid program. Cass Community Health Foundation recognized this issue and opened Cass County Dental Clinic in 2011. The Cass County Dental Clinic is the dental home for more than 2,000 low-income children and adolescents in the community. We are the only full-time safety net dental clinic in Cass County to provide access to dental care for those poor and underserved children, now with a location in both Belton and Harrisonville, Missouri. Tracy, a mother of four, has been bringing her children to the clinic since it opened in July 2011. She recently reported her kids were terrified to come to the dentist due to a bad experience her oldest went through prior to visiting CCDC. Through patience, understanding and commitment to improve the lives of our youth, Tracy proudly admitted her children now look forward to their visits. The kids take pride in the care of their mouths, and it has improved their attitude toward the way they approach life. The 2014 Missouri Kids Count states there are more than 7,000 children under age 19 in Cass County who are eligible for Medicaid benefits. Many of the children seen at the clinic have never seen a dentist before and have extensive decay. This high rate of decay is due to barriers faced by low-income families including: lack of dentists accepting Medicaid, transportation issues, language barriers, prevention education, challenges taking time off from work or school and trouble finding a dentist who is comfortable treating young children. Health Forward Foundation found in studies that oral health is one of the more neglected areas of safety net. Several new families seen at the clinic all presented with the same concerns: they did not recognize the importance of preventive oral health care. This meant the patient’s first visit at the clinic was for emergency services, as their child was suffering and in pain. 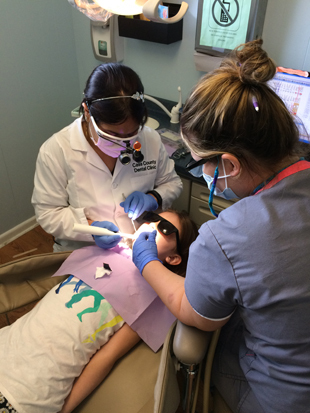 In order to prevent the number of emergency dental visits Cass Community Health Foundation with several partners provided annual dental screening to more than 2,739 area students in 2015. During these screenings, children learn about the importance of oral health, proper brushing techniques and dietary impact on their bodies, including their teeth. 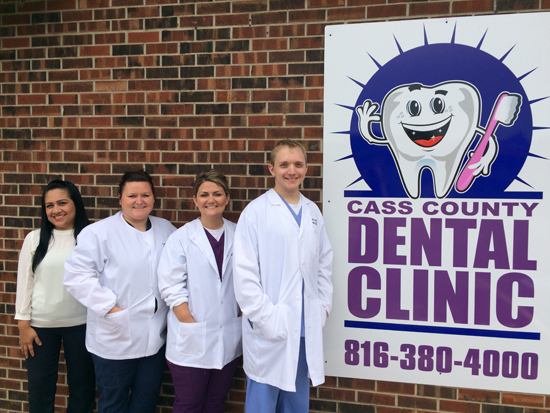 With community and individual support, Cass County Dental Clinic will continue to improve oral health care, therefore, overall health in the lives of thousands of youth within the community. This blog post is part of A Healthy 10.